Long Island Region members and guests prepare to head home after a great show of union solidarity. CSEA Metropolitan Region President Lester Crockett stands with our union at this year’s New York City Labor Day Parade Chair. 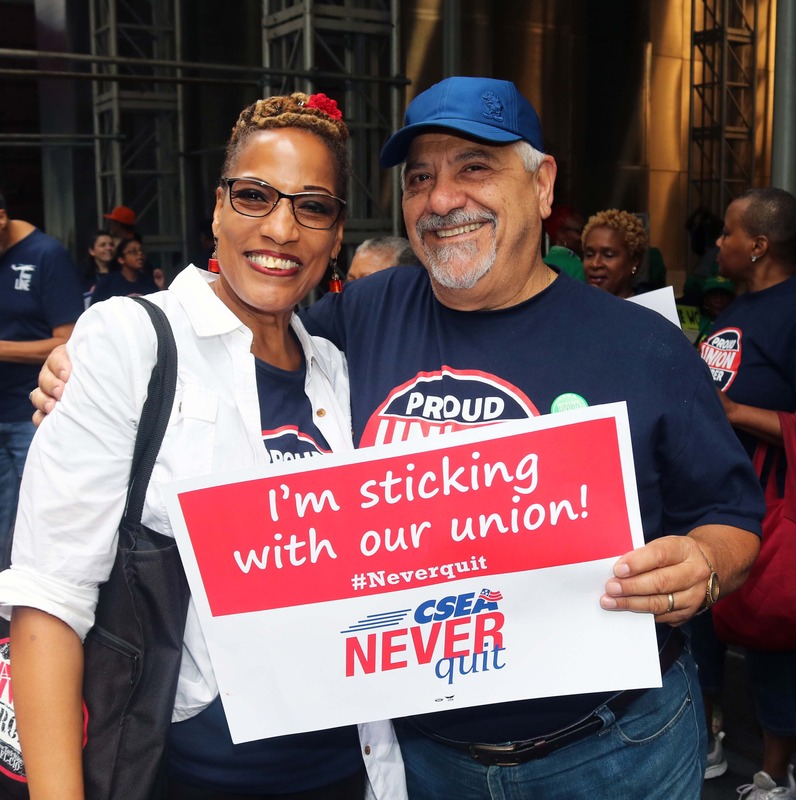 MANHATTAN — Our Long Island Region members recently joined our sisters and brothers from the Metropolitan and Southern regions in standing strong during the New York City Labor Day Parade. 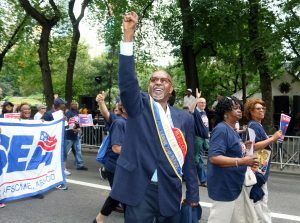 The parade is sponsored by the New York City Labor Council in honor of union members throughout the region. This year, Metropolitan Region President Lester Crockett served as parade chair. 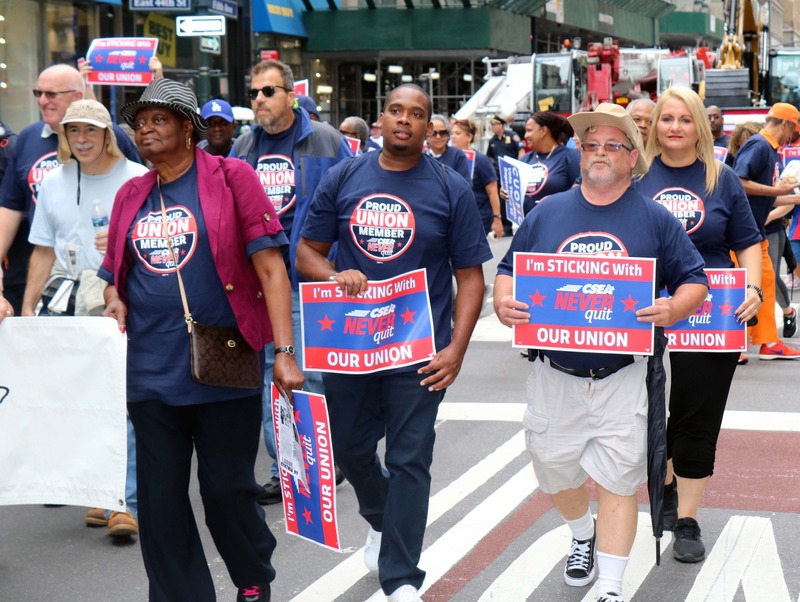 Our members marched up Fifth Avenue to show we are staying union and staying strong. Also joining our members was Statewide Secretary Denise Berkley. Suffolk Retirees Local 920 activists and Long Island Region President Nick LaMorte proudly display the Long Island Region banner. From left, Rutha Bush, Suffolk Retirees Local 920 President Millie Lucas, Long Island Region President Nick LaMorte, Carol Lowe and Ruby Thomas. 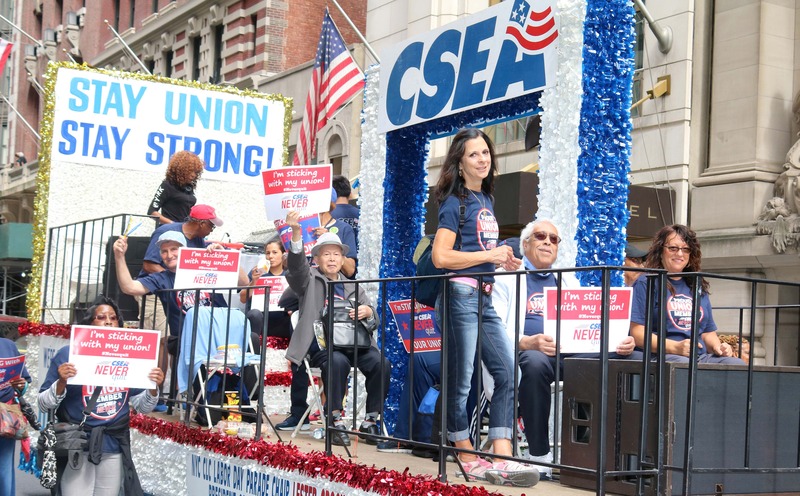 Members happily ride CSEA’s float in the parade. 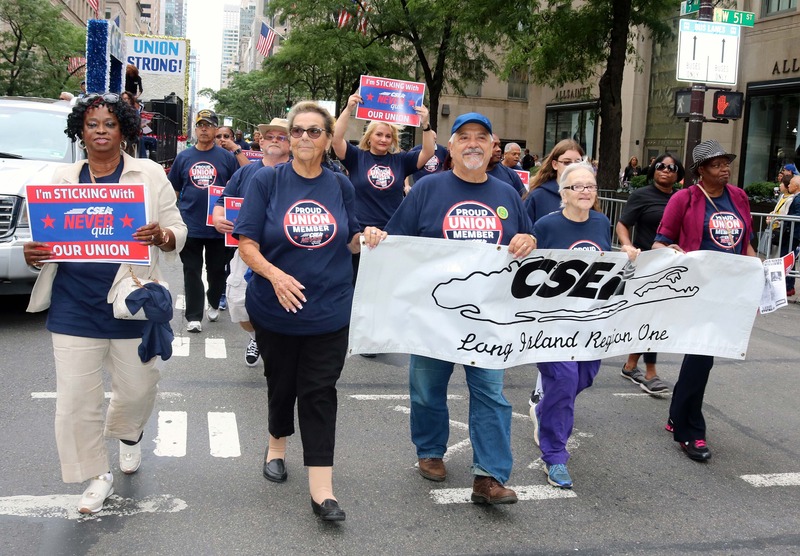 These Long Island Region activists wouldn’t miss the chance to represent CSEA at the New York City Labor Day Parade. 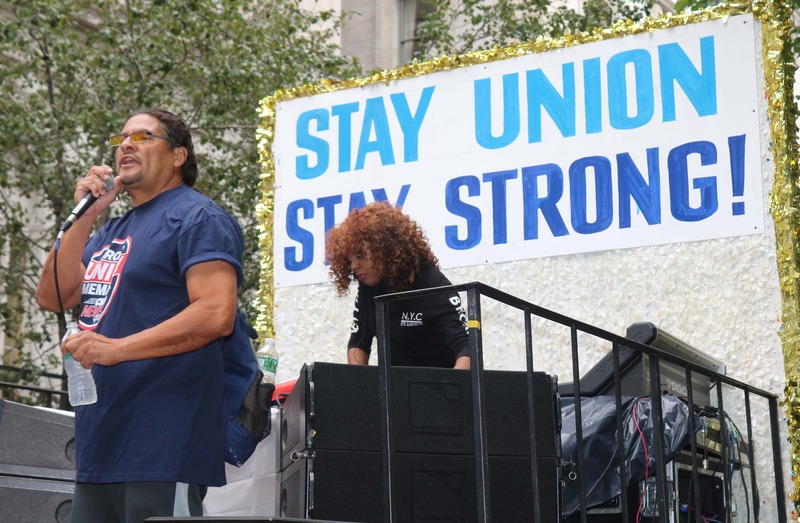 From left, Suffolk Retirees Local 920 member Ruby Thomas, Local 430 2nd Vice President Abraham Johnson III, Local 430 President Pete Marriott and Local 430 1st Vice President Jennifer Colón. CSEA Statewide Secretary Denise Berkley catches up with Long Island Region President Nick LaMorte before the parade begins. 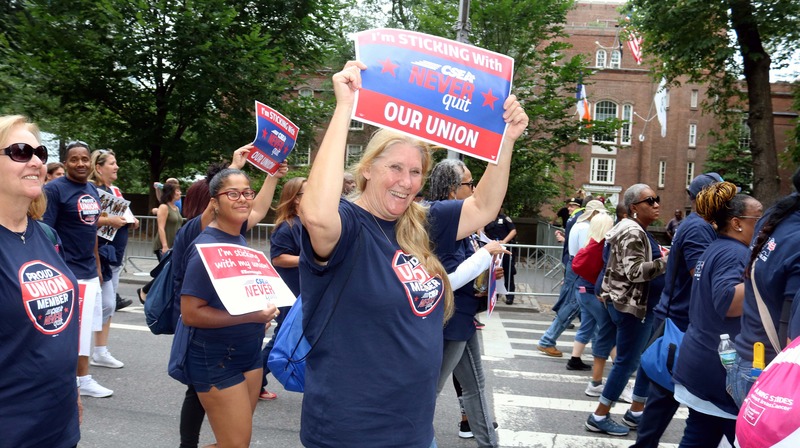 Suffolk Retirees Local 920 activist Meg Shutka shows her CSEA pride.